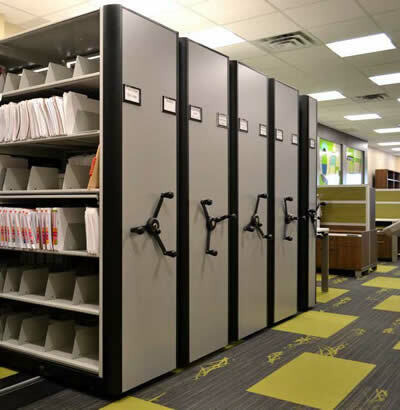 "Available on the Utah State Contract MA1231"
Utah High Density Mobile Shelving Systems are state-of-the-art storage systems with shelving that moves on a track. 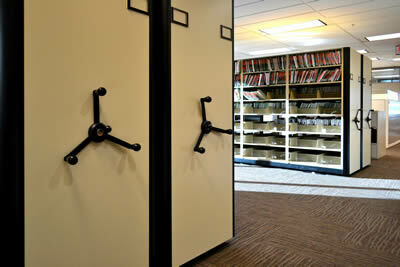 Shelving units can be condensed together when not in use, but can roll open to create an aisle. By removing the need for extra aisle space it creates a much smaller storage space compared to traditional stationary shelving. High Density Mobile Shelving has been supplying customers with more value, more options, and better quality for their money. 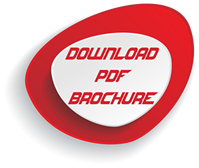 It can save money and space without compromising quality. Our highly trained designers will take the measurements of your space, and assure you get the most possible storage inches with your space. Nationwide Shelving represents a broad selection of shelving products, allowing us to bring you the best solution and value to meet your needs. Call our shelving experts for more details. 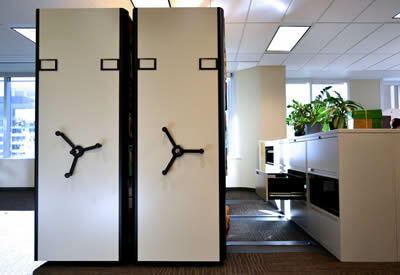 High Density Mobile Shelving has been used by many varieties of businesses, such as public libraries, athletic departments, lawyer offices, computer technology firms, healthcare facilities, law enforcement agencies, and more. 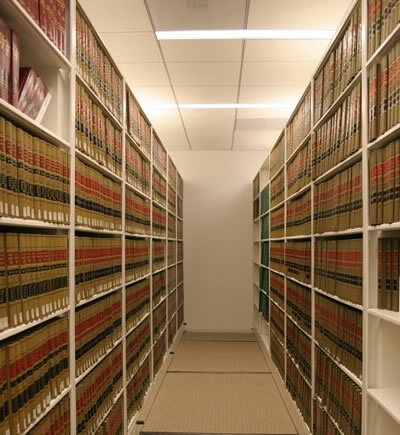 Not only can files and records be stored within high density mobile shelving systems, but inventory in different shapes and sizes also easily fit inside on shelf levels. This includes, but is not limited to: athletic gear and equipment, medical supplies, computer hardware, weapons, retail inventory, books, and more. 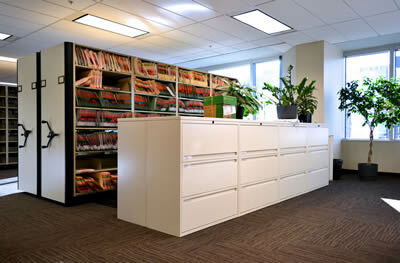 Mobile Shelving can help make a green impact and reduce long term investments by making the best use of your space. Mobile shelving can reduce the amount of space you’re currently using or increase storage capacity by up to 100% without expanding your storage space. You can make a smaller footprint by making the best use of your space and eliminate the need for building expansions. By compacting storage and eliminating the need for expansions, you can lower your overall energy costs and make a green impact for you and your community. Mobile Shelving allows for a smaller footprint which leads to less building materials, and lower up front cost of construction. Avoid overpaying on rent, property taxes, utility bills, and the costs associated with a larger space. 84001, 84002, 84003, 84004, 84005, 84006, 84007, 84008, 84010, 84011, 84013, 84014, 84015, 84016, 84017, 84018, 84020, 84021, 84022, 84023, 84024, 84025, 84026, 84027, 84028, 84029, 84031, 84032, 84033, 84034, 84035, 84036, 84037, 84038, 84039, 84040, 84041, 84042, 84043, 84044, 84045, 84046, 84047, 84049, 84050, 84051, 84052, 84053, 84054, 84055, 84056, 84057, 84058, 84059, 84060, 84061, 84062, 84063, 84064, 84065, 84066, 84067, 84068, 84069, 84070, 84071, 84072, 84073, 84074, 84075, 84076, 84078, 84079, 84080, 84082, 84083, 84084, 84085, 84086, 84087, 84088, 84089, 84090, 84091, 84092, 84093, 84094, 84095, 84096, 84097, 84098, 84101, 84102, 84103, 84104, 84105, 84106, 84107, 84108, 84109, 84110, 84111, 84112, 84113, 84114, 84115, 84116, 84117, 84118, 84119, 84120, 84121, 84122, 84123, 84124, 84125, 84126, 84127, 84128, 84130, 84131, 84132, 84133, 84134 ,84136, 84138, 84139 ,84141, 84143, 84144, 84145, 84148, 84150, 84151, 84152, 84157, 84158, 84165, 84170, 84171, 84180, 84184, 84189, 84190, 84199, 84201, 84244, 84301, 84302, 84304, 84305, 84306, 84307, 84308, 84309, 84310, 84311, 84312, 84313, 84314, 84315, 84316, 84317, 84318, 84319, 84320, 84321, 84322, 84323, 84324, 84325, 84326, 84327, 84328, 84329, 84330, 84331, 84332, 84333, 84334, 84335, 84336, 84337, 84338, 84339, 84340, 84341, 84401, 84402, 84403, 84404, 84405, 84407, 84408, 84409, 84412, 84414, 84415, 84501, 84510, 84511, 84512, 84513, 84515, 84516, 84518, 84520, 84521, 84522, 84523, 84525, 84526, 84528, 84529, 84530, 84531, 84532, 84533, 84534, 84535, 84536, 84537, 84539, 84540, 84542, 84601, 84602, 84603, 84604, 84605, 84606, 84620, 84621, 84622, 84623, 84624, 84626, 84627, 84628, 84629, 84630, 84631, 84632, 84633, 84634, 84635, 84636, 84637, 84638, 84639, 84640, 84642, 84643, 84644, 84645, 84646, 84647, 84648, 84649, 84651, 84652, 84653, 84654, 84655, 84656, 84657, 84660, 84662, 84663, 84664, 84665, 84667, 84701, 84710, 84711, 84712, 84713, 84714, 84715, 84716, 84718, 84719, 84720, 84721, 84722, 84723, 84724, 84725, 84726, 84728, 84729, 84730, 84731, 84732, 84733, 84734, 84735, 84736, 84737, 84738, 84739, 84740, 84741, 84742, 84743, 84744, 84745, 84746, 84747, 84749, 84750, 84751, 84752, 84753, 84754, 84755, 84756, 84757, 84758, 84759, 84760, 84761, 84762, 84763, 84764, 84765, 84766, 84767, 84770, 84771, 84772, 84773, 84774, 84775, 84776, 84779, 84780, 84781, 84782, 84783, 84784, 84790, 84791. Adamsville, Alpine, Alta, Altamont, Alton, Altonah, Amalga, American Fork, Annabella, Antimony, Apple Valley, Aurora, Austin, Ballard, Bear River City, Beaver, Bery, Bicknell, Big Water, Bingham Canyon, Bingham Cyn, Blanding, Bluebell, Bluffdale, Bonanza, Brookside Dammeron Valley Hildale Tropic Mount Carmel Paragonah Newcastle Panguitch Bryce, Boulder, Bountiful, Brian Head, Bridgeland, Brigham City, Bryce Canyon, Bryce Canyon City, Callao, Cannonville, Castle Dale, Castle Valley, Cedar City, Cedar Fort, Cedar Hills, Cedar Valley, Centerfield, Centerville, Central Valley, Central Vly, Charleston, Circleville, Clarkston, Clawson, Clearfield, Cleveland, Clinton, Coalville, Copperton, Corinne, Cornish, Cottonwood Heights, Croydon, Daniel, Delta, Deweyville, Draper, Duchesne, Duck Creek Village, Duck Crk Vlg, Dugway, Dutch John, Eagle Mountain, Eagle Mtn, East Carbon, Echo, Elk Ridge, Elmo, Elsinore, Elwood, Emery, Enoch, Enterprise, Ephraim, Escalante, Eureka, Fairfield, Fairview, Farmington, Farr West, Fayette, Ferron, Fielding, Fillmore, Fort Duchesne, Fountain Green, Francis, Fruitland, Fruit Heights, Fremon Leeds, Garden City, Garland, Garrison, Genola, Glendale, Glenwood, Goshen, Grantsville, Green River, Greenville Gunlock, Gunnison, Greenwich, Gusher, Hanksville, Hanna, Harrisville, Hatch, Heber City, Helper, Henefer, Henrieville, Herriman, Hideout, Highland, Hildale, Hinckley, Holden, Holladay, Honeyville, Hooper, Howell, Huntington, Huntsville, Hurricane, Hyde Park, Hyrum, Ibapah, Independence, Ivins, Jensen, Joseph, Junction, Kamas, Kanab, Kanarraville, Kanosh, Kaysville, Kingston, Koosharem, Laketown, Lakeside, Lapoint, La Verkin, Layton, Leamington, Leeds, Lehi, Levan, Lewiston, Lindon, Loa, Logan, Lyman, Lynndyl, Manila, Manti, Mantua, Mapleton, Marriott-Slaterville, Marysvale, Mayfield, Meadow, Mendon, Midvale, Midway, Milford, Millville, Minersville, Moab, Modena, Mona, Monroe, Monticello, Morgan, Moroni, Mount Pleasant, Murray, Myton, Naples, Nephi, New Harmony, Newton, Nibley, North Logan, North Ogden, North Salt Lake, Oak City, Oakley, Ogden, Ophir, Orangeville, Orderville, Orem, Ouray, Panguitch, Paradise, Paragonah, Park City, Parowan, Payson, Perry, Pintura, Plain City, Pleasant Grove, Pleasant View, Plymouth, Portage, Price, Providence, Provo, Randolph, Red Canyon, Redmond, Richfield, Richmond, Riverdale, River Heights, Riverton, Rockville, Rocky Ridge, Roosevelt, Roy, Rush Valley, St. George, Salem, Salina, Salt Lake City, Sandy, Santa Clara, Santaquin, Saratoga Springs, Scipio, Scofield, Sevier, Sigurd, Skull Valley, Smithfield, Snowville, South Jordan, South Ogden, South Salt Lake, South Weber, Spanish Fork, Spring City, Springdale, Springdale Pine Valley Veyo, Springville, Sterling, Stockton, Summit, Sunnyside, Sunset, Syracuse, Tabiona, Taylorsville, Teasdale, Terra, Tooele, Toquerville, Torrey, Tremonton, Trenton, Tropic, Uintah, Venice, Vernal, Vernon, Vineyard, Virgin, Wales, Wallsburg, Wanship, Washington, Washington Terrace, Wellington, Wellsville, Wendover, West Bountiful, West Haven, West Jordan, West Point, West Valley City, Willard, Woodland Hills, Woodruff, Woods Cross, Zion National Park, Zion Ntl. For our A1 Install service department (relocation and installation of office cubicles, material handling equipment, and shelving) call 801-456-9950.